Lowcountry bar owner and ex-Marine Brack Pelton heads to Atlanta in the wake of a panicked 3 AM phone call. A woman is missing and Brack’s friend Mutt is in danger. Brack’s old flame, investigative news correspondent Darcy Wells, now lives there and is set to marry another man. If Brack was honest with himself, and he usually wasn’t, he’d realize that the missing woman isn’t the reason for his visit. His Semper Fi buddy Mutt can handle himself just fine. Suspenseful, intriguing and captivating plot with intriguing and engaging characters and a well delivered mystery. I loved it and would recommend it to everyone who reads mystery or thriller. A definite 4 stars read that was a one sit read for me. Brack Pelton waited in his Porsche by a no-parking zone in a very bad part of the city and watched someone he thought he knew well climb out of an old Eldorado convertible. The man entered a ramshackle building with a neon beer mug shining through its one dirty window. Easing away from the red-marked bus stop, Brack found a better location down the block and pulled in. Before getting out of the Porsche, he woke Shelby, his tan mixed-breed dog slumbering in the backseat, and pulled a forty-five from the glovebox. He verified a round was chambered. Shelby licked his lips and gave a quick bark as Brack slid the pistol down the back waistband of his cargo shorts. Patting his dog on the head, Brack asked, “Ready?” A needless question. Another bark affirmed Shelby’s stand on things. “When we get inside, your job is to find Mutt. Okay?” Shelby licked his face. Brack knew that as long as their target hadn’t escaped out some back door, Shelby would find him. Mutt was one of his favorite people. Brack’s too. That was why tracking him like this went against everything he believed in doing. Mutt was the one who often rode shotgun with Brack as they’d right Charleston’s wrongs. Now Mutt was the one in the crosshairs. Thanks to an early morning phone call from Cassie, Mutt’s girlfriend, a life depended on answers his friend would give. The forty-five wouldn’t come out unless trouble came up. The barroom’s rusty screen door screeched open. Shelby darted ahead, already focused on his objective. Brack entered a time warp. Uncanny how even the sour bar wash fragrance and cigarette smoke were the same. Through the old familiar haze, he imagined Mutt standing behind a peeling Formica counter pouring drinks to patrons who could barely afford their rent. Somehow, Mutt had managed to replicate his termite-infested watering hole three hundred miles west of where his original joint stood before some spoiled neighborhood brat burned it down. “You lost?” A very large African-American man wearing a soiled wife-beater chalking a pool cue confronted the white newcomer. “Big talk coming from someone in yo’ shoes,” he said. Four other men flanked him, two on each side, all with arms folded across their meaty chests. Five soiled wife-beaters in a row. A worn-out AC unit clicked and sputtered, failing to condition the polluted air in the establishment. Shelby seemed to take longer than usual to find Mutt. Only one thing could sidetrack him. But no women had ever been present in the original Mutt’s Bar in Charleston. They’d been afraid to enter the place. Maybe Atlanta women were different. Casually Brack removed the half-smoked cigar he’d been saving in his pocket and lit it. The only faithful friend he had left at the moment was his own adrenaline. Brack was angry at Mutt and wouldn’t mind working it out of his system on these five gentlemen facing him. Three more joined them. Okay, these eight gentlemen. Brack felt more gather behind him. His wayward dog better have a real good excuse for not warning him. Chuckles echoed around the room, undoubtedly at his expense. Mutt pushed his way through the gathering mob. A few inches over six feet, he’d replaced his boxed Afro with a close trim since the last time Brack had seen him. His clothes were of a more recent vintage, another change, and to Brack’s untrained eye, quite stylish. “Opie, you always got to do things the hard way, don’t ’cha?” Brack couldn’t decide if he wanted to punch him or shake his hand. The fact that his friend sported a bridge that replaced his missing front teeth also caught him off guard. Mutt knew as well as Brack did that they were greatly outnumbered. But Brack figured Mutt also knew that a few of his patrons would spend the next few weeks in the hospital if things went south. All the men turned in the direction of the voice. Through a break in the undershirt line, Brack observed a heavyset black woman in a way-too-tight purple body suit. Clearly she’d fallen in love with his dog. Her extra-long orange day-glo fingernails scratched behind his ears. Sitting on his haunches with closed eyes, Shelby flapped his tongue and panted in what Brack recognized as pure bliss. Two other women wearing similar attire also gave Shelby their full attention. Brack was about to get pummeled by eight or more hulks itching to right the wrongs of their world, yet his dog had managed to pick up what looked like all the women in the establishment. Brack turned back to him. Mutt got between them. “Easy, Charlie. He’s my brother.” The men looked at each other as if Mutt and Brack could possibly be related. Of course, they weren’t in the traditional sense. “Summertime” by Billy Stewart began to play somewhere in the room. A real classic. Circling Shelby, the women moved their ample hips to the beat. The dog, in plus-sized heaven, spun around, not sure which lady to kiss first. A fourth woman Brack hadn’t noticed until now came from behind the bar to stand beside Mutt. Almost as tall as Brack, with dark brown skin, a buzzed haircut, and toned figure bordering on muscular. Her inked-up arms momentarily distracted Brack. 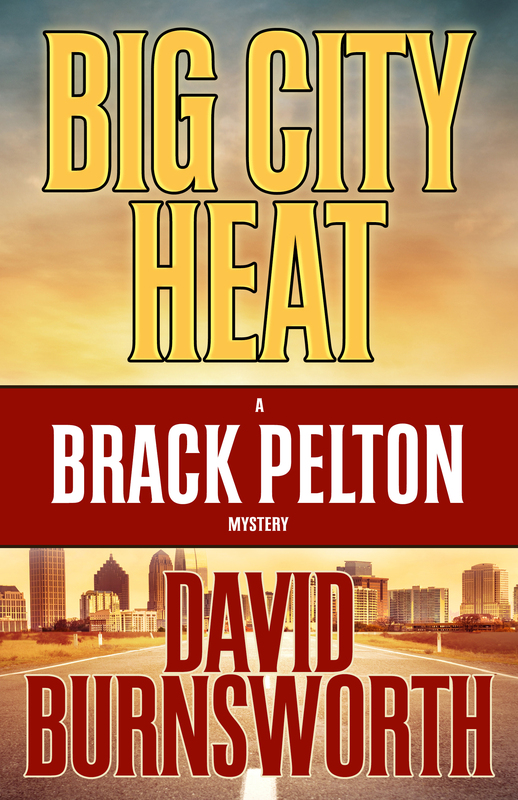 Excerpt from Big City Heat: A Brack Pelton Mystery by David Burnsworth. Copyright © 2017 by David Burnsworth. Reproduced with permission from David Burnsworth. All rights reserved. Catch Up With Our Author On: Website , Goodreads, Twitter , & Facebook ! This is a rafflecopter giveaway hosted by Partners in Crime Virtual Book Tours for David Burnsworth and Henery Press. 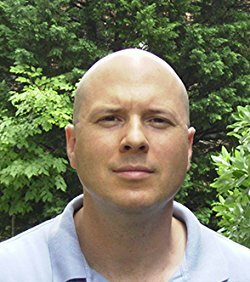 There will be 1 winner of one (1) $15 Amazon.com Gift Card and 5 winners of one (1) eBook copy of Big City Heat by David Burnsworth. The giveaway begins on April 22, 2017 and runs through May 29, 2017. This giveaway is for US residents only. Void where prohibited by law. I, too, enjoyed this book and looking forward to more by this author! I loved it, too! Can't wait to see what Brack and Mutt and Brother Thomas get into next.